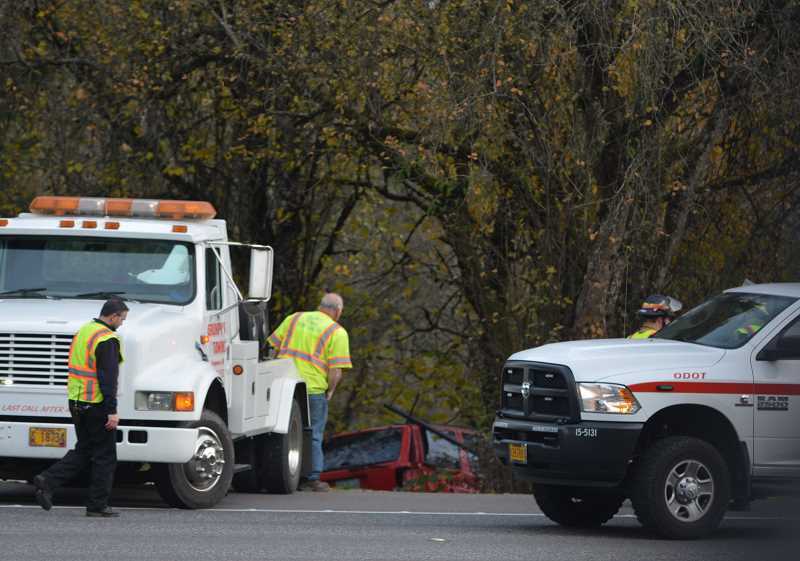 One person died Tuesday afternoon, Nov. 20, after a red Jeep left the roadway on Highway 30 and crashed down an embankment near Rocky Point Road. According to Oregon State Police, James Jones 74, of Portland, was headed west on Highway 30 around 1:20 p.m. when his Jeep left the road for unknown reasons. Jones was the sole occupant in the Jeep and died at the scene. "The possibility of Jones having a medical event, before the crash, is being investigated as a possible cause," OSP indicated in a news release Thursday. Emergency responders from OSP, Scappoose Fire District, and Oregon Department of Transportation worked to remove the vehicle and direct westbound traffic after the crash.